This application is avaliable via Cydia Installer for jailbreaked iPhones. This is a wonderful snowboard simulator for iPhone. It will show up in AppStore soon. 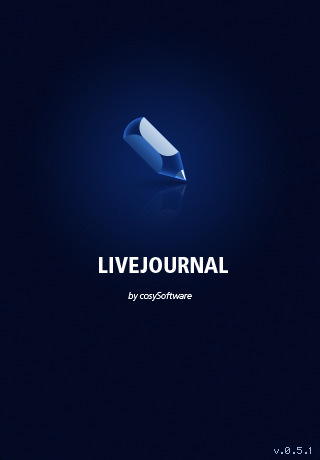 LiveJournal.app allows you to post new entries to your blog at LiveJournal.com with photos (as much as you want) or images (uploaded to LiveJournal Scrapbook) and receive and send personal messages. This application is free, avaliable via AppStore (link). 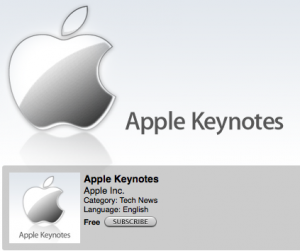 Apple added the Keynote, Spotlight Turns to Notebooks, to iTunes (link). Lite version is free (link). 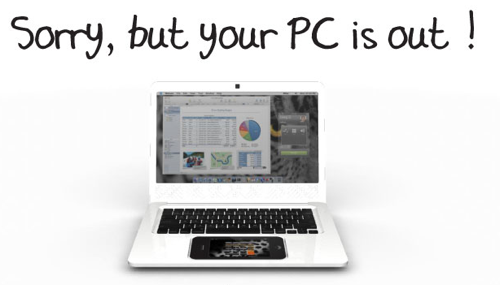 Full version costs $3.99 (link). 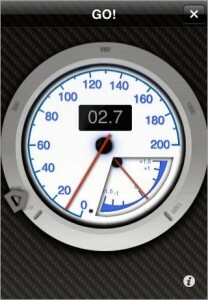 While browsing cool applications I've found PocketDyno (AppStore Link). 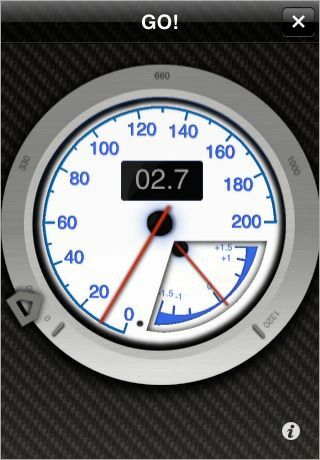 This application measures the performance of the vehicle. It uses internal accelerometer, not GPS. 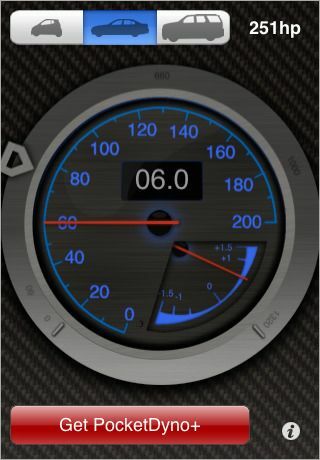 So iPod and old iPhone users can try this application. I'll definitely try this app today. The above message is shown at freechromethemes.com. 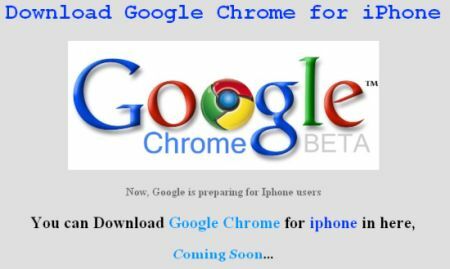 Our guess is that Apple will never allow Chrome to make it to AppStore. 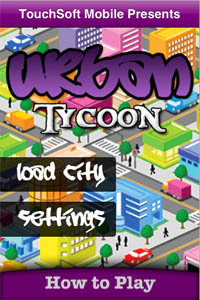 However it will probably be avaliable via Cydia for jailbreaked iPhones. Take a look at appsamuck.com. They create sample lessons for each of 31 days. Now 13 lessons are avaliable. Eant to make fire or get familiar with GPS? I recommend all potential iPhone developers to take a look. This is a video from myPhoine 2008 conference. Young developer Erik created Boot Camp for iPhone. 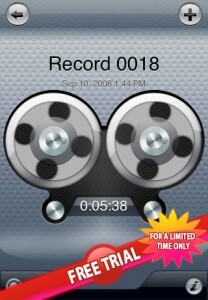 iDicto (AppSore link) is a the most simple and easy-to-use powerful sound and voice recorder. Now you can enjoy this application free for limited time. Adjustable recording quality: Best (44.1kHz), Good (22.05kHz) and Low (8kHz). While transferring files you can select the time period during which auto-lock will be disabled.